Accuracy: +/- 0.1% of the capacity. Fork dimensions 1170 x 550 x 85 mm. Steering wheels and double loading rollers with a poliurethane coating. Weight indicator with large LCD 25mm display high contrast digits, which are clearly visible even in poor lighting conditions, and waterproof membrane keyboard, with 4 functional keys. Configuration, calibration and diagnostics from PC with LCSTOOL utility. Fitted with extractable drawer containing 4 AA batteries. The operating time is of about 80 hours of continuous use or three months with the tipycal non continuous use, thanks to its auto switch-off function. Triple graduation (TPWN3 model) for more precision about the smaller weights, maintaining a great capacity of loading. RS232/C bidirectional port for calibration and configuration from PC or printer. Infra-red port for remote control handle-bar (optional). Zeroing, Automatic tare, Manual tare, activation of the selected function, print, ON/OFF. Special wheels available with price estimate. Equipped with 230Vac 50 Hz battery charger to be recharged in a safe area. Counting with function of entering the known A.P.W. Set-point on gross weight, set-point on net weight. 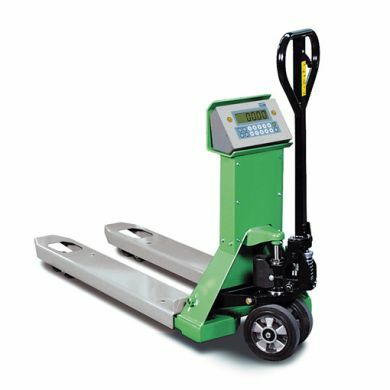 Specifications: BT Rolatuc's hand trucks are the universal truck for manual pallet handling, characterised by high quality and an exceptionally strong but light and service-friendly design. Many variations are available, e.g. 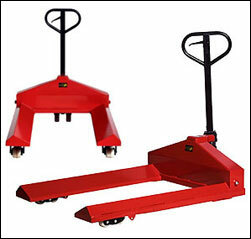 with bogie wheels for uneven floors, various fork lengths and widths, specialised wheels, hand brake, etc. 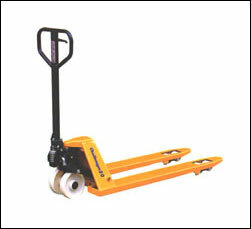 Specifications: The Challenger Range of hand pallet trucks are one of the premier quality trucks for materials handling on the world market today, with tens of thousands of trucks sold worldwide. 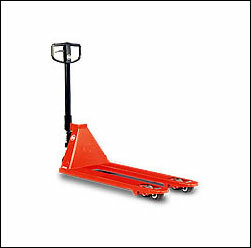 In the UK, this superb hand pallet truck has an enviable reputation for quality, strength and durability. The Bulldog Pedestrian Stacker. upto a smaximum weight of 2000Kg. 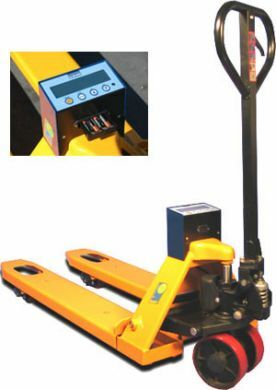 As always fitted with pressure relief and overload valve and supplied as standard with tandem nylon rollers. 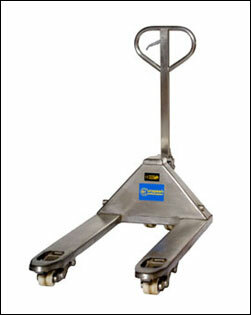 The "ESKIMO SS" is a full stainless steel pallet truck suitable for use in a host of specialist applications such as corrosive atmospheres, pharmaceuticals, food hygiene areas, saline and many other aggressive environments. 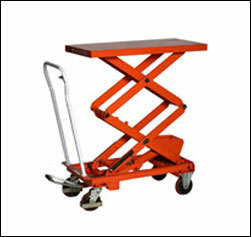 Our comprehensive range of Mobile Lift Tables are manufactured to withstand the most arduous working environments normally associated with industrial applications Robustly constructed with High quality hydraulics, which have a positive feel. 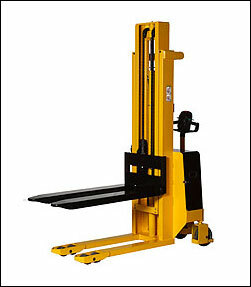 Scissor Lifts come in a variety of specifications. Please contact us for details.